Former Juventus and Italy goalkeeper and manager Dino Zoff is recovering after suffering "health difficulties". Zoff, 73, also played for Udinese, Mantova and Napoli but it is his 11 years at Juventus where he established himself as one of the best keepers of his generation. He won six Serie A titles with Juve and the World Cup with Italy in 1982. "He is a strong man and a legend," said a statement on Juventus' website. "We are all right behind him. #ForzaDino." 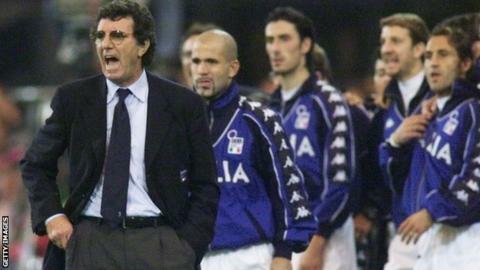 Zoff managed Juventus between 1988-2000 and, after two spells in charge of Lazio, took charge of Italy in 1998. He resigned after a 2-1 defeat by France in the Euro 2000 final.